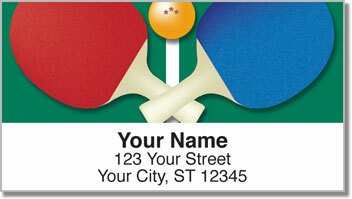 For those of us who consider ourselves expert ping pong players, this set of return address labels lets you celebrate your skills with a paddle on all your letters and packages. The game of table tennis is played in basements and rec rooms around the world, but it's also been an Olympic sport since 1988! It's serious competition that's also seriously fun! 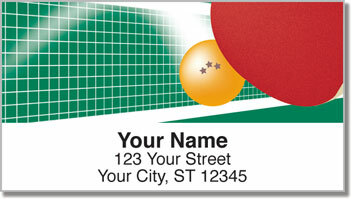 If your backspin is legendary, and you defiantly return every smash back in your opponent's face, then Ping Pong Address Labels from CheckAdvantage are the perfect choice! 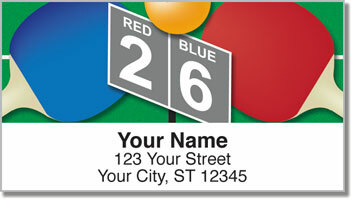 Plus, you'll love how much easier it is to prepare your outgoing mail. Put down that pen and forget about writing your name and address on every envelope. Just peel and place these convenient labels! 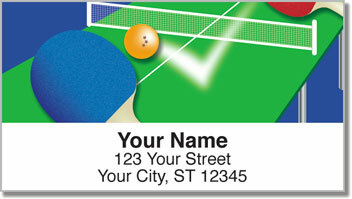 Order your own Ping Pong Address Labels today! Get them as matching personal checks too!